During a visit to Durango, Colo., to expand her culinary repertoire, chef Maddalena Tumminaro decided to take a walk on the wild side. One taste and she was inspired. Today, Maddalena leads Wild Mountain Foods, which creates snack foods made from organic, wild and locally farmed ingredients. Maddalena’s healthy snacks are pure, uncomplicated and bursting with natural flavor. Her recipes celebrate plants that grow wild in Colorado. These wild plants feed themselves without human interference and are conditioned to thrive in harsh environments. Their hardiness makes them an excellent source of nutrients. 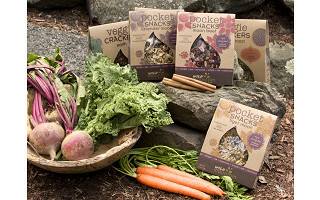 No cooking goes on in the kitchen where Maddalena and her team create their fragrant Pocket Snacks, savory Veggie Crackers and seasoned Kale Crunchies; the environment is completely raw and vegan. The snacks are packaged in compostable wood cellulose bags, and the boxes are manufactured locally in a zero-waste facility using natural dyes. You don’t have to do any foraging to enjoy a taste of the wild. Wild Mountain Foods is passionate about creating artisanal raw foods, and we get to reap the tasty rewards. 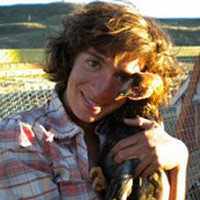 Hey, I'm Maddy, the Ambassador Of Love, Founder and Culinary Practitioner here at Wild Mountain Foods. I'm excited to chat further and answer any questions you may have! are the snacks gluten free? ground nut allergy free? Hi Mary, great question. All the products we are offering are gluten-free and processed in a gluten-free facility. @Mary Ellen Verdu - under "details" it states they are gluten free however, the equipment is used to process other tree nuts. I love the idea, my first thought was perhaps in the future you could expand to have something special from every state. After checking out prices, whoa, for me that comes to $3.81 per oz! 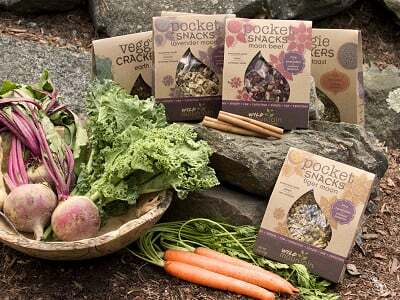 (2oz pocket snacks) However, the packages look generous, can you tell me the (approximate) volume? And, are they 1 serving? The 2 oz pocket snacks has 1 serving per container and contains 57 grams. @Amy Bernstein - Thanks, It helps with the serving size, but grams is still weight, not volume. Is there 1/2 cup, or 3 cups, etc.? A 2oz package is about 1/4 cups total and 3 oz package is about 1/3 cups total. Let me know if that helps a bit. @Amy Bernstein - that's what I was looking for, thanks! I've tested the Zucchini toast myself and I didn't find it to be spicy at all. I was wondering which ones have no sugar? Thanks. While none of the snacks have any added sugar, the cheezy kale chips have 0 grams. The pocket snacks typically have higher grams of sugar than the chips and crackers. During a visit to Durango, Colo., to expand her culinary repertoire, chef Maddalena Tumminaro decided to take a walk on the wild side. One taste and she was inspired. Today, Maddalena leads Wild Mountain Foods, which creates snack foods made from organic, wild and locally farmed ingredients. Maddalena’s healthy snacks are pure, uncomplicated and bursting with natural flavor. Her recipes celebrate plants that grow wild in Colorado. These wild plants feed themselves without human interference and are conditioned to thrive in harsh environments. Their hardiness makes them an excellent source of nutrients. No cooking goes on in the kitchen where Maddalena and her team create their fragrant Pocket Snacks, savory Veggie Crackers and seasoned Kale Crunchies; the environment is completely raw and vegan. The snacks are packaged in compostable wood cellulose bags, and the boxes are manufactured locally in a zero-waste facility using natural dyes.